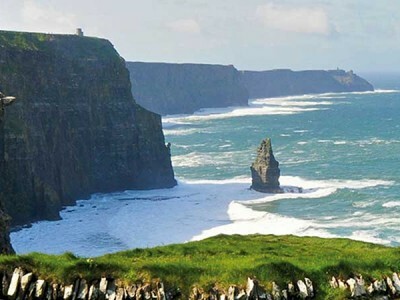 Our Cliffs of Moher day tour from Dublin City to the edge of Europe also includes a visit to the home of Irish music and captures the charm of the Irish countryside. Take our tour to see why 1.5 million visitors make the Cliffs of Moher one of Ireland’s top visited attractions. One free child space with every adult ticket bought. NB: This is a bestseller tour and likely to sell out. We recommend you book early to get your preferred tour date. 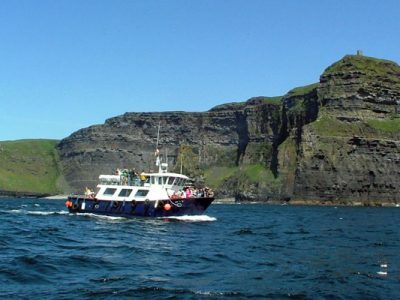 Pack your sense of adventure and get away for a day on board the Darby O’Gill day tour to the breathtakingly beautiful Cliffs of Moher, a natural wonder in County Clare at the heart of the Wild Atlantic Way. The Princess Bride, Harry Potter & the Half Blood Prince, Into the West – if you’ve enjoyed any of these movies then your first look at the Cliffs may well be familiar. 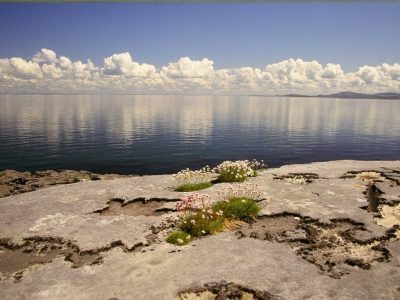 Travel in comfort and style from Dublin city on our luxury coach, sit back in our reclining leather seats and access our free Wi-Fi as we head west through the Burren and scenic County Clare. As soon as you arrive, you will be surrounded by beauty and captivated by nature. Spot colonies of rare birds soaring above the cliff-face, see and hear the full force of the wild and wonderful Atlantic Ocean from below and follow the many trails for stunning views that will take your breath away. 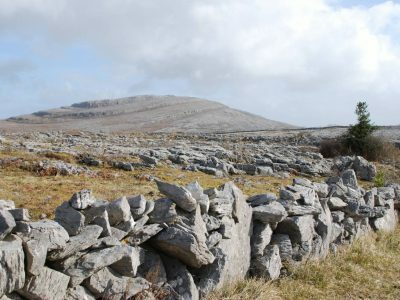 Then take some time for tradition with a visit to nearby Doolin, the home of traditional Irish music. Here you can mix with the locals, share a story, hear a song or sample the many delights of this old-world fishing village. If you still have a thirst for excitement, the Cliffs of Moher cruise is a thrilling optional extra you won’t want to miss! Prepare yourself for an unforgettable awe-inspiring view from the base of the Cliffs and see up close the armies of distinct and rare birds – the delightful Puffins among them! Back on dry land, relax and unwind while sharing your memories on our return coach trip to Dublin. Return to Dublin: approx 8pm. Ireland's most visited tourist attraction, the spectacular Cliffs of Moher loom majestically over the Atlantic Ocean on the edge of Western Europe. This UNESCO World Heritage Site is a unique otherworldly landscape formed over 300 million years. The Wild Atlantic Way is a 2,500km stretch of captivating coastline along the west of Ireland at the very edge of Europe. The seaside fishing village of Doolin is celebrated as the home of traditional Irish music. Take a cruise from here along the base of the Cliffs of Moher. 1 person is looking at this tour right now! Children (age 0-8): 1 free per adult. my friends andI went to the Cliffs of Moher with Darby O'Gill. The entire trip was faultless from start to... read moremy friends andI went to the Cliffs of Moher with Darby O'Gill. The entire trip was faultless from start to finish. We saw the majestic cliifs, went on a boat in the Atlantic Ocean, ate in a traditional Irish Pub, had local beers only available in Doolin, visited an american icon in the heart of Ireland, and spent many hours viewing the beauty of Ireland. This day was made so enjoyable, amusing and entertaining by our energetic and knowledgeable guide - Wes, who for the entire 12 hours kept everyone rolling around with laughter, while regaling us with history, folklore and humorous stories. This man is a legend, he truly made our day with his enthusiasm, energy and infectious joy. I wasn't sure to believe the hype, you read the reviews and think this can't be as good and you believe, but I can testify that Wes is the real deal, believe the reviews, this is the best tour you will ever take part in.